Are you attempting J-J cards by yourself, without any assistance from the Jalup J-J series? You want to harness the unfathomable power of the monolingual Japanese Anki deck, but either don’t have the time or still are confused as to its beautiful creation. 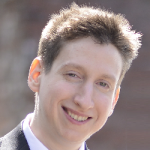 After receiving numerous requests from people to show them my personal Anki deck, I decided to give in and realize that there may be a strong benefit in giving someone the ground work for their own J-J deck creation by showing them mine. I had originally decided that I wouldn’t ever release my Anki deck in full form as I thought this would just be overwhelming and have limited value. But with the release of the Branch Annihilator and the new techniques of branch cutting, short slicing, and sentence scavenging, the deck and all of its excellent sentences already set up in Anki form may prove invaluable to some. So I am finally offering my full Anki deck (the deck that I’ve been using since the beginning and has propelled me to level 75) up for sale. However, since I believe the main value for you in this deck comes with the branch annihilator tactics, I strongly encourage that the two be purchased together. ● Expert levels (50) and above. ● Are in the J-J sentences/branching phase. ● Don’t need the full step-by-step guidance of Jalup Intermediate to Expert. ● Want something to refer to, and use to create their own sentences. ● Want to see J-J branches in the raw. ● Want to see what kind of deck is enough to reach towards a fluent/native level. What is in The One Deck? 12572 cards that are all personally created by me with sentences from native sources. This includes manga, novels, blogs, mixi, movies, news, anime, jdrama, comedy, variety shows, video games, etc. ● Cards vary in difficulty because that is the way you input sentences. ● Cards vary in theme, but cover a wide variety of everything you could possibly imagine, from the serious, to the absurd. 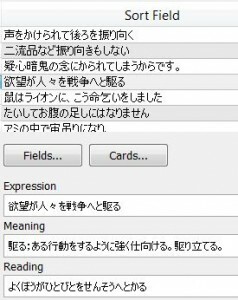 ● Cards contain the following fields: 1) sentence (expression), 2) unknown word(s) of the sentence with full dictionary definitions (meaning), 3) hiragana pronunciation of every word (reading). 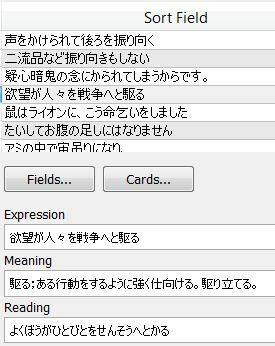 Most of this deck was created before the furigana ability in Anki, which means the reading will not appear over the words, but instead in their own section below (it’s still easy to follow). I was going to take out all non-sentences, but decided to leave them in as they were extremely helpful to me. I also deleted some extraneous cards that I felt weren’t very good. – (Updated 8/22/2015): Thanks to Jacob H, a separate Morphman reorganized version of The One Deck is now included upon purchase. I have removed the people name cards and stray RTK 3 cards that appeared in both the original deck and the Morphman version. The Morphman version has only 12509 cards as a few extra name cards were found there that I couldn’t find in the original. The Morphman version now starts right from the sentences. ● Import the cards (probably best in chunks) into your own deck or use it as a separate deck. ● While the cards towards the beginning contain definitions for multiple words per sentence (similar to how most intermediate levels progress), it eventually narrows itself down to 1 (usually) to 2 unknown words. You won’t know everything that I knew at the time, so you will have to adjust these cards to your own understanding. Solution: simply add definitions to words you don’t know (a good old cut and paste from your super online dictionary). This is important to really making the deck yours, and while may seem like a little extra work, is vital to the process. However, usually the words I didn’t know at the time you didn’t as well (and vice versa). You are high level, have a lot of experience with J-J sentences, want to create things on your own, don’t need any guidance, and want to see the raw mess that J-J is all about when going solo. You are starting J-J for the first time, you want an easy transition from J-E to J-J, you want an i+1 structure directly off of Jalup Beginner, you want a polished product that is going to effortlessly raise your Japanese level towards fluency, and you’d rather focus on learning Japanese than the process of creating flash cards. There is an incredible amount of variation within the deck, so it is hard to provide any kind of indicator of what the deck is generally like. But some people want to see a little of it before they buy which is perfectly understandable. Here are 6 random deck browse screenshots. I want this, bad. As I’m only 17, is there a way to get this through means other than paypal? Email me for an alternative payment option. Great stuff. I’ll likely buy the whole package once I’ve reached the point of J-J branching. This page rocks too much to avoid buying something or contributing to it in some way. The deck is huge, while the order & difficulty of cards is haphazard (considering It’s 9000+ cards of custom-made branching). Speaking for myself, this deck is worth buying. TheOneDeck was made during Adshap’s 5+ year Japanese adventure, all in monolingual format. A deck of this quality can’t be found anywhere but here. (Of course, it can be recreated, but it would take a few months or years). 9859 cards may be impractical for some , but imo it is something that most people could take advantage of. Side note: I reordered the deck by i+1—optimized for bottom-up instead of top-down processing. Side note: I never intended to branch J-J cards. I stop after one monolingual definition and translate the definition to English. The branch annihilator still provided a few useful tips for mining and making cards. After going through the deck a bit and reading through the guide, I was determined to start branching. Progress is evident. It was pretty difficult the first few sets of branches, tho. Any idea how many J-J cards you are at? Adshap mentioned somewhere that the turning point for him was somewhere at the 700-1000 range, which also matches my experience. I aim for 15 a day so that’s around 900 in two months. How did you go about reordering to deck to i+1? This is amazing, and I’m definitely grabbing the full package next paycheck. That said, I’m concerned that my grammar is shaky, and my girlfriend wants to start on her own Japanese journey. Do you intend to make your J-E deck available for download in the future? I went through the “J-E” stage pre-Anki as well, but I do most of my review work in Anki now. The entire reason I hadn’t just crafted a J-E deck of my own is mainly the time investment — my top speed for J-J is 60 cards/hour, and I’d rather throw the over 16 hours of making a J-E deck into expanding my J-J deck if possible. Thanks for the quick response. Can’t wait to dig into The One Deck! Is there any chance you could just post a few examples of some (of at least what you consider to be) more difficult entries so that I can judge its usefulness? I’d rather not buy it, browse the cards for a bit, and eventually have to try to get the refund. Are you worried that the cards will be too easy for you? There is just so much variation within the deck that whatever I show wouldn’t exactly provide any kind of indicator of what the deck is generally like. There are cards that range from simple to average to difficult to super complex. I can understand that with almost 10k cards. How about just divulging 10 random-ish cards out of that whole deck (0.1%) instead? I admit I may have missed some posts where you’ve done this already, but I think that this sort of information should be on the product page itself. I have issues buying things sight-unseen (I don’t think that’s just me). Okay that sounds fine. I added a random sample to the post. I’m not able to see the images. Are they included or can they be posted as a separate file? Thank you in advance and a huge thank you for making the deck available!! I will post a comment when a month has passed. The images in the deck (there are probably around 50-100 total) are currently not included. In the old days of Anki, images weren’t exactly the easiest to use, and they didn’t transfer well. I will see if I can find out where exactly they went (they are probably on an older computer somewhere). If I can’t find them (or they are gone), at least they show where I used an image. I remember especially using them for Japanese names, in which I chose a celebrity with that name, and then used their images. The sentence with 金木犀 was actually from the J-drama Nobuta wo Produce. For some reason I never forgot the sentence or even the source it came from! Good luck with the deck and definitely post back later how it goes. Ah I see, thanks for the speedy reply! If it turns out to be too much of a hassle to retrieve them just let it be, I’ll survive without them. Glad to see you are still going strong and the deck and branching are working out well for you. Since the last video contest its been a while since you posted here! I guarantee you will continually find new material in almost every card. And as soon as I get access to my old pc (which isn’t where I live) I’ll scan the harddrive to see if these elusive pics still remain. A month has passed and so far, so good! I think the deck is great; new words, fun stuff and I like the Japanese descriptions. According to the level test I’m at level 35 and I’m going at 10 new cards a day. I haven’t followed the site in a while so I’m not familiar with the current branching strategies. I have been in the J-J phase for quite a while and have branched sentences myself though. Is there any recommendation on all the non-RTK1-kanji in The One Deck? Because there is a lot of them. Right now I’m sort of ignoring them and try to learn the kana reading instead. If you come across kanji that wasn’t found in RTK1 (which will be a lot), just learn how they are read in the sentence. That’s all you need. 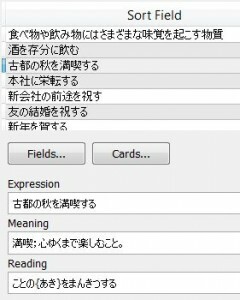 There is no need to create separate kanji cards for new kanji outside of RTK1. i will be buying this within a week, but I wanted to know what is the XPNAVI anyway? Does this deck have sound files? And if not, would you be willing to put them in? The deck does not have sound files. I don’t really feel though at the J-J stage that sentences with audio are really that much of a benefit to make their creation worthwhile. Would this be recommended for someone around level 20? Kind of a combination of the two. Start from the beginning and work your way forward. Suspend or delete cards that are way over your level, and branch cards that have low to intermediate difficulty. If you use the suspend feature, you can always come back to the more difficult cards later. I also bought it last week but regrettably I haven’t completed RTK prior. I had started several times but I guess I’m one of the few who just couldn’t get into it deep enough to finish. Am I the only one? On the other hand, I’m currently working my way through Wanikani, in which I find I’m much more engaged for the long haul. I’m still in early stages of WK (level 10 of 50) but I have more than 1000 J-E sentences under my belt. I’m around level 24 in JALUP’s scoring (maybe due to my kanji handicap?) Anywho, I find myself very sloooow at the ONEDeck and repeatedly looking up words. I’m definitely learning and excited but don’t want to get discouraged either. Adshap, any advice? Or anyone else at the same level as me and can offer their experience/tips? I’m super psyched I found this website as it has given me newfound confidence where I felt hopeless! Thanks everyone! 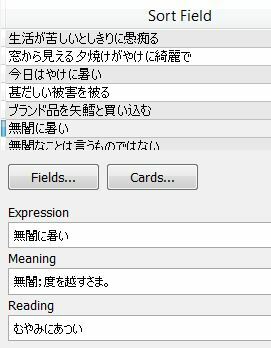 Going into the one deck will be harder without the RTK background, but it can still be done (especially if you are adding in another kanji guide like wanikani). If you’ve been through all the techniques in the Branch Annihilator, you might want to try the 500 J-E-J bridge phase. Thanks for responding so quickly. That’s definitely what I’ve been doing so far (without the realization that I was actually doing the J-E-J phase). I’ll try to be patient with myself and keep chugging along. Just recently started studying Japanese. How long will it take me to reach J-J? Depends what pace you go at. If you did 15 new sentences a day, about 2 months. Another month if you do the J-E-J bridge at the same pace. I just checked out the new update. The cards from Jalup 1000 and 2000 seem a whole lot easier to me. Some of the cards from the old Jalup 1000 + 2000 may be slightly easier than the latter cards since they were added first. But since branching is a very mixed up experience where you don’t really know where you end up, this trend doesn’t hold through with the whole deck. I have to agree completely. With the new addition I’ve actually come across multiple cards that I already know, easier definitions of words and overall less complex sentences. Although it would have helped to have these a year ago it’s pretty cool to notice the progress that has been made since one started the deck. The new cards also help with cementing and clarifying definitions that were a bit vague in my mind. I have this now, but I’m wondering, after I go through the Beginner 1000 + Intermediate 1000 completely, should I just go through the entire deck or just mine from it? I know getting sentences of my own is more beneficial in many ways because you connect more, however, it’s all there to get me to fluency and usually any sentence, as long as it’s helping, won’t bore me. What do you think Adshap? You can try both. You can first attempt just go straight through it, and if you aren’t feeling the results you can just mine what you want from it. Many people have used it in different ways. Is the folder called “collection.media”? I don’t think I can find any other media folder. Yes, it’s the collection.media folder. For the cards with multiple definitions for one sentence, do you recommend to create a new card for each of them with a unique sentence, use them as is, or suspend them and only use the single word cards? Wouldn’t it make reviewing difficult if you need to get 5 things right for one card? The JALUP intermediate doesn’t really follow this format, so I’m not sure how to approach it. I don’t mind leaving them as is if you think that it won’t be a problem. I probably won’t be touching them till I finish the JALUP advanced, just want to have myself prepared (or when premade decks stop getting released). Was thinking about suspending them, but there’s a lot like that. And with the branching considered, it would make future single definition cards difficult, as they build off the ones prior. This should only appear at the very beginning of the One Deck (maybe the first 50-100 cards). This was when I was still testing with the amount of definitions that should be added to a card to review comfortably. In these first cards, sometimes there are cards with as many as 2-4 new definitions. I was originally going to remove these first 100 cards, because I found that putting this much information into a card was bad. But I left them in there because I wanted to keep the deck as is. The One Deck is a lot more raw than the refined Jalup Beginner/Intermediate/Advanced decks (for example, I mentioned in this post that I did a bit of experimenting with place/people names). I do not recommend doing sentences with multiple definitions required unless you further branch them. 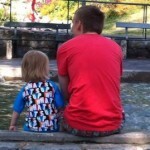 Maybe, on the rare occasion 2 is okay, but 1 is always the goal. Thanks Adam, always the answer I need to hear. Yeah I only went through about 50 before I got tired. Thought they might end after 500 or so, so didn’t want to sacrifice too many. I forget sometimes that branches are sort of self contained in their own circles anyway. I’ll just keep the ones in the first 100 that can exist on their lonesome, that’s already happened a couple of times in the ones I haven suspended. Some of those early words might come up again, but I can always branch them myself, or search for the words again in the one deck to see if it’s in the first 100 :). I won’t bother branching them since there’s like, you know, another 12,000 cards or something like that hahah. I don’t know why I keep thinking of your base knowledge being a lot less than the Jalup -soon to be- 3000 so I imagined we’d have close to all the vocab and more going into the one deck. I guess this isn’t going to be case, seeing as those branching methods didn’t have words cherry picked like you’re doing for JALUP pre-mades. Thanks for providing another one of the apt responses you’re known for! The best! My knowledge base starting The One Deck actually was probably around the equivalent of the Jalup Beginner + Jalup Intermediate (+ maybe going a bit into the Jalup advanced). However, it wasn’t the “same knowledge.” My 2000+ pieces of Japanese probably varied a bit in vocabulary and grammar. But an extra 1000 cards makes a big difference, so with the Jalup trio of 3000 completed, the One Deck should not be a problem. I do think it could definitely look better and be more organized if it was an actual article. Maybe I should shoot Adam an email about it. Just an idea, but it may prove worthwhile to rearrange the One Deck using the morphman plugin on Adam’s end, and then sell it with that new i+1 order. (The +1 Deck?) If the new order is a definite improvement, this would mean more value and less hassle (toward rearranging things) for the buyers. Then again, I do want the expert series to continue regardless. Hope this ‘improvement’ doesn’t hurt its chances. Yeah I have no problem with putting up an article if it is submitted, and/or if someone wants to just send me a Morphman optimized One Deck. Though I’m not really sure it would do anything for Beginner, Intermediate, Advanced, and Expert, as the decks were specifically created to only have one unknown element per card that builds on each other. The order is extremely important for these decks, so having them rearranged by an algorithm seems counter productive. at least for me, I only use it to organise the on deck vi my Jalup deck series of cards. My Jalup series order remains unchanged. Though this is mostly irrelevant because I’ve completed those decks. Ideally someone with the entire Jalup series completed would take the morphemes from their deck and use it to reorganise the one deck. This has worked pretty well for me, obviously there is the problem of heaps of names and counters, but it takes a mere second to suspend cards if you don’t find them useful are already known. I’ve had a fairly good experience thuse far. Yeah I think the goal is just to optimize the One Deck to get as close to i+1 as possible for people who have worked through the JALUP 4000. I really like that idea Daniel. The program can be useful in ordering cards based off on someone’s specific knowledge base, but I think this is much simpler. I sent a reordered One Deck to Adam, but not based on any prior known cards. This is only because I do not yet have the full Jalup Series of decks yet (I’ve yet to purchase the last 500 Expert cards, but plan to do it soon), and I don’t really want to pick a random amount of cards to base it off of, or to just base it off of the cards that I’ve learned thus far. Once I have the full (current) Jalup Series of decks in my possession, I’ll send him a re-ordered One Deck based off all 4000 of those cards. Also, I definitely agree that trying to reorganize Beginner, Intermediate, Advanced and Expert would be counter-intuitive as they are already set up in a specific, optimal order. Have you looked at Adam’s Branch Annihilator? He gives a really detailed set of instructions and worked examples of how to do it. Does the maximum deck in the store include everything or are there things that are left out? If so can you tell what is missing? Jalup Maximum includes everything in the store, except for the new Jalup book on Amazon. So, just for the sake of clarity, this deck would include the beginning J-E (with audio) deck and the intermediate deck that comes after that? No this deck does not really include the beginner deck with J-E and the intermediate deck. I think from what I’ve read around the site this is more for people who have completed beginner through advanced or even expert. If you want just beginner and intermediate I recommend the battle package since it also comes with advanced for the same price or better yet the maximum package. If you are asking does Jalup Maximum include the beginning J-E (with audio) deck and the intermediate deck after that, this is correct. If you were asking whether the One Deck includes those 2, Tyler gave the correct answer. It does not. I studied Japanese obsessively for years using the AJATT method. Now I have been living in Japan for 2 years, finished JLPT 1 and now work in a company where I use Japanese daily. Would still like to keep flexing them language muscles and get every bit closer to native fluency and thought this deck might be good for that. 1. Do you think this deck might be useful for a person like me? 2. Could you give a more detailed breakdown of what kinds of media/situations/themes these cards relate to/are taken from? 3. Do these cards contain reference to the source they were taken from? 1. Yes, I think that you would find use out of it. However, there would definitely be a good amount of cards you already know if you are JLPT 1 level, so you’d have to delete whatever you don’t need. 2. There’s just too much to really give an accurate breakdown. It has everything from action manga to books on law and the economy. Love story movies to heavy sci fi. 3. No it does not. I just bought this. I could have swore I bought it already years ago and found it too difficult but couldn’t find even a trace of it. :~(. (I kept wanting it and not buying it but broke down and bought it finally). I’m not sure what the Morphman version is. How is it different from the original? Is it very much recommended? I get the impression it is so that’s the one I’m using. I’m pretty comfortable using the sansseidoukokugo dictionary but I’m finding the J definitions a little vague.. they seem more like synonyms that were found in google or something instead of a dictionary. One had a typo but in general they seem ok (I’m not too picky about small mistakes since they jump out at me anyway and I can fix them). I’m just a little curious because it’s supposed to start with sentences but it’s just starting with short phrases.. ok I’m in bootcamp and I literally forgot how use Japanese input on Windows so don’t mind the romaji. koukiwo hanatsu. It seems like a collocation card almost. I guess it’s technically a sentence.. just a short one. Anyway, so when I don’t understand something I just copy and paste from my sanseidoukokugo app onto the card in the definitions field. I don’t know for sure how you do branching as I haven’t read your article recently but this is working fine. In terms of my ability I’m between N2 and N1 and I’m finding the difficulty very good. I already know or knew and forgot about 10/15 percent of the words so far and the rest are new. I wonder about what level was your Japanese roughly when you started this deck? And what level when you finished? I don’t know if people are reading these comments wondering if the deck is for them.. I would say it’s pretty rough. For example here’s this card:福祉の立ち後れ　and the meaning.. 立ち後れ：たちおくれること　So it’s basically using the unknown word in the definition. I’m just adding definitions as needed as I go and I still like the deck because I don’t have to mine my own sentences.. I rather dislike that. I know that there’s something to be said for getting your words from your own sources but it distracts from the enjoyment of reading when you do that. And I’m not too discriminate when picking new words to study. You could say I might pick every leech I lay my eyes on. I don’t know how picky Adam was when making this deck but at least the word choices worked for him. I guess I’ll update here a few more times as I study from the deck more. I highly recommend you use this in conjunction with the Morphman plugin, in your own Anki installation. It’s a bit hard to get it setup but it will rearrange the cards according to your own cards (knowledge). I think there’s even the possibility to provide it a “priority” text file (a book you’re reading, scripts from movies/anime from your immersion library etc), showing you cards for words that appear in that text file. All in i+1 format. I haven’t played with that part of it yet though. Though if you use both you’ll end up with a lot of doubled cards. I’ll go check out the Morphman plugin again. I’ve heard of it before but I think it seemed too complicated to me to implement. And it seems it sounds like it’s going to look at my previous anki decks to figure out what I know so as to apply it to future decks maybe… except that I’ve deleted my old decks and I also spent tons of time doing SRS in other apps like Flashcards Deluxe and just Midori (for iOS) and Japanese (for iOS). Without the previous decks to learn from is the Morphman plug in useless? 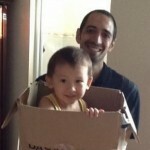 I read your summarized blog post about your studies to date and I’m very impressed at your rapid progress. I’ve been studying Japanese for 7 years now. The impressive thing I think is just that I didn’t give up and kept going – no super ability here lol. But I do think I have a vocabulary of 8,000 to 10,000 words or so. Not too shabby. Morphman rearranges the card by i+1 (information + 1), so it is technically supposed to make it easier. 1. It is very raw. This wasn’t created as a polished deck like all the other products on Jalup that guide you step by step. It was what I personally added for my own purposes. So sentences may be long, they may be short. They may be phrases, they be complex. They were what I needed at the time. 2. This isn’t meant to be done straight through. It won’t work this way. It is meant to have a lot of deletes. You keep sentences you like and remove ones you won’t. Out of the 12k+ cards, you might find a few thousand that you don’t like and you can get rid of and that’s fine. Thanks for the reply Adam. If you could estimate your ability when you started the One deck and when you finished I think that would be motivating for me. I know it was probably a lifetime ago for you so just your best guess is fine. Thanks. – Started studying Japanese around January 2005. – Started the One Deck the end of 2007 when I was intermediate level. – Continued to seriously add new cards to it for 2 or 3 years. – Added sporadically after that from 2009-2012. – 2012+ maybe a few cards here or there.